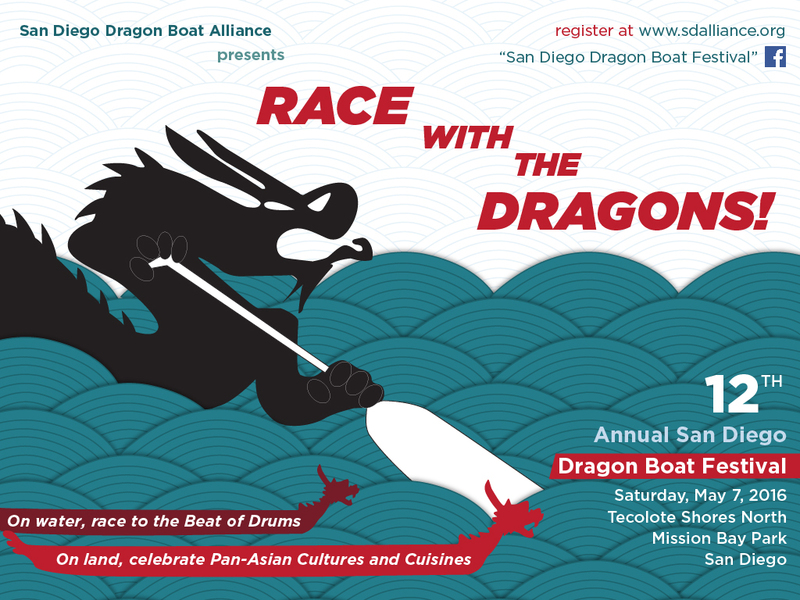 The San Diego Alliance for Asian Pacific Islander Americans gratefully acknowledges QUALCOMM Incorporated for its generous support of the Alliance for Alliance's mission and our San Diego Dragon Boat Alliance. Alliance recognized for Excellence in "Cultural Heritage & Community Service"
The San Diego Alliance for Asian Pacific Islander Americans was honored to receive the San Diego Filipino-American Humanitarian Foundation's Excellence Award for "Cultural Heritage & Community Service" at the Foundation's annual Historical Heritage Gala. San Diego Dragon Boat Festival is Saturday, May 7, 2016, 9am-5pm, Tecolote Shores North, San Diego, CA 92109. Click here to register. Chairman Ron Roberts & SD County Board of Supervisors declare May 7, 2016 "SAN DIEGO DRAGON BOAT FESTIVAL DAY" throughout San Diego County! What better way to spend San Diego Dragon Boat Festival Day than at San Diego Dragon Boat Festival?!! Celebrate with us! Ayako Ota, President; Cliff Chang, David Situ, Benson Ly, Brian Wong, Kevin Tran, Lori Ross, Jessica Soong, Vincent Yao, Elmer Barerra, Albert Liang, Albert Lo, Ted Ochiai, Jerry Lin & teammembers UCSD Dragon Boat!